My weight loss and fitness “aha moment” came at the day spa, when the one size fits all robe totally lied to me and didn’t fit, prompting my mission to get in shape and lose one hundred pounds. I have tried so many different diets, and I have found so far that only one has worked effectively for me. As I began to work my way down the rack of sizes from 22 to 2, I realized how my shrinking waistline impacted my relationship with my wardrobe. 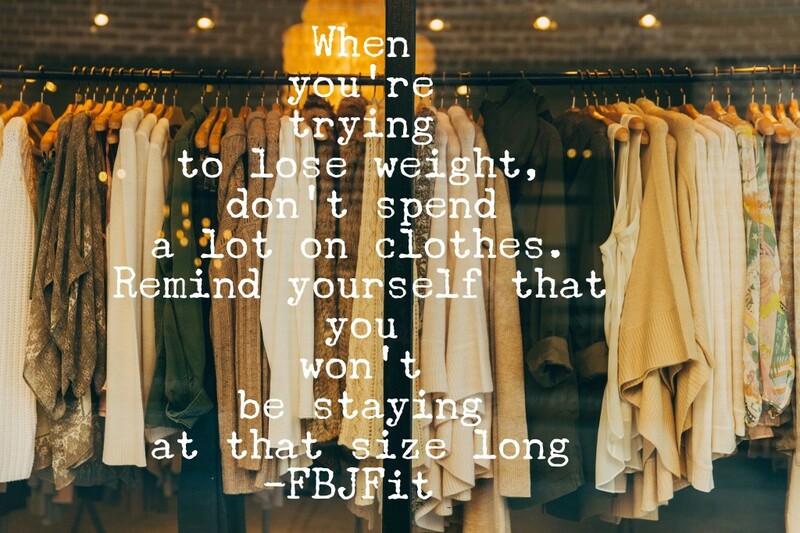 I found, not surprisingly, that as I lost weight, I began enjoying shopping more, but I had a strict rule not to buy a lot in a “transition” size, and would tell myself not to invest too much as I didn’t plan on staying in that size for very long. I would promptly donate my larger sizes whenever I got into the next size down, as I didn’t want to have “fat clothes” to fall back on. Since I have a home office, I kept my choices simple and limited my selections to a pair of black pants, a pair of tan pants, and a pair of jeans with some knit tops, and of course, lots of workout clothes. Even now, at goal weight, I tend to gravitate towards fun workout wear that can go from the gym to the street. You can find fabulous deals on workout clothes at T.J. Maxx, Marshalls and trendy consignment stores. I promised myself an entirely new wardrobe as a reward when I hit my goal weight. There’s no reason not to look your best as you’re literally building your new body, so I consulted an expert to give you the best tips and advice for your own weight loss wardrobe! Susan Kanoff is a professional wardrobe stylist who works with women of all ages and sizes to help them look and feel beautiful, inside and out. Susan styles private clients as well as for television and print. With a background in social work, she has a unique understanding of women’s issues relating to body image and self-esteem. Susan had this to say: Figuring out what to wear while losing weight can be very frustrating! Most women decide not to treat themselves to new clothes until they’ve reached their target weight, yet wearing big baggy clothes is unflattering and certainly not uplifting! There is a huge psychological connection between looking good and feeling motivated, so my advice is to dress your best no matter what your weight is! During weight loss, wear clothes that show off your new & evolving figure. This means buying properly fitting clothes that won’t break the bank and will last for more than a week. • Your closet should contain only the clothes that fit you. Pieces that are too big need to go and those that are too small are a reminder that you can no longer fit into them (pack these away for when you lose the weight). • Choose fabrics that have a little bit of stretch. Knits are great because the fabric will adapt to changing sizes. • Look for clothes with seams that can easily be taken in. Also, find yourself a great tailor—she’ll become your best friend. • Keep lines simple and clean. Stay away from pleats or too much fabric (which will make you look bigger). • Invest in a cape or shrug—since it is “one size fits all” you will have it to wear even after you’ve reached your target weight. 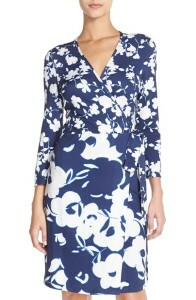 • The wrap dress is a great transition piece because it can be wrapped tighter as you lose weight. • Stick to simple pieces in colors that can easily be mixed and matched. • Use accessories (jewelry, scarves and handbags) to give clothes a brand new look. • Treat yourself and invest in some fun shoes! • Shop consignment shops and clearance racks for great deals. • Make sure that you have good fitting bras and undergarments. • Look great—pay attention to your hair, nails and make-up. Looking and feeling good will incentivize you to continue on your weight loss plan! 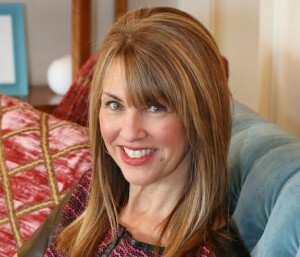 Susan’s blog The Midlife Fashionista is quickly becoming the “go to” style designation for women, proving that style is ageless but doesn’t have to be difficult! I stuck to affordable basics and did a lot of laundry 🙂 I just kept promising myself a fun new wardrobe at goal! Losing weight might help reduce your waistline, but it can also mean having to buy a new wardrobe, so keep these tips in mind for how to dress. It’s really a nice and helpful piece of info.